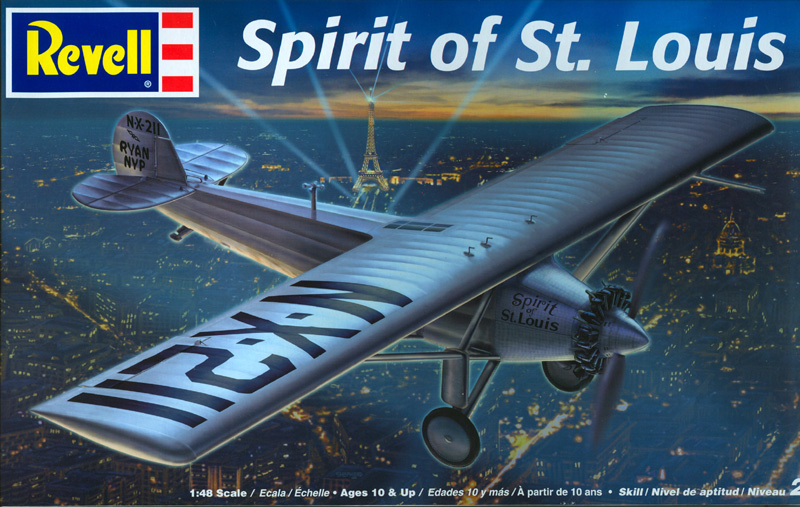 THE SPIRIT OF ST. LOUIS—–“Can do” Yankee bravado vs. 3600 miles of the freezing North Atlantic. Impressively mounted, tense, always pictorially engaging, this 1957 epic of Charles Lindbergh’s amazing historic solo flight to Paris in 1927 failed to fly with audiences, and its dismal box-office crash of $2,600,000 against a cost of $6,000,000 marked it as a major disaster. The ecstatic hero-worship that followed ‘Lucky Lindy’ had once chest-thumped the nation. It electrified the World, really, as people everywhere were staggered by the audacity and nerve of the feat. Lindy inspired many to careers in aviation, gave the aeronautical business a gigantic boost and had enough of a hold on director Billy Wilder’s imagination thirty years after the event that he undertook this saga, offbeat for him, basically the King of Cynics. Despite the recent success of Lindbergh’s autobiographical book (which won a Pulitzer), a good deal of the adulation had worn off by the time this troubled production debuted. Jets were everywhere, TV and a blizzard of modern gadgets were commonplace; people had already flocked to the John Wayne air-epic The High And The Mighty. There had been a surfeit of flying-oriented movies that came out of the Korean War, and maybe the thought of one guy, talking to himself in a cockpit didn’t rev the teenagers, too busy rebelling without cause and rocking the jailhouse. Reviewers were tepid as well; Lindbergh was dissatisfied with the actor playing him (he wanted Anthony Perkins—yeesh); the production had been continually delayed, gone way over-budget, and had Jack Warner pulling his hair out. James Dean had been up for the role: his car wreck ended that idea. 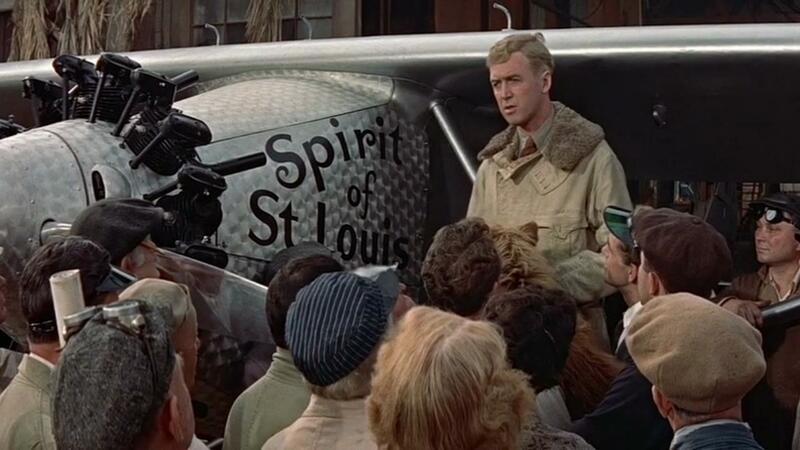 James Stewart lobbied like mad, and got the part (Warner fumed), even though he was 22 years older than Lindbergh. He put it over, with some makeup, and does a fine job. His battle to keep from going to sleep during the 33 hour flight (after already staying awake all night beforehand) is classic. 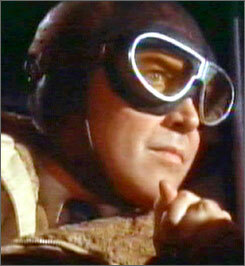 Flashback vignettes highlight some early air exploits (carrying mail, doing stunts, cadet training), and the supporting cast who figure in these bits are adequate, with Bartlett Robinson having the largest role. But acting-wise, it’s overwhelmingly Stewart’s show, his All-American identity and delivery making him the proper modest hero, his own notable flying experience in WW2 adding conviction (he’d also recently starred aloft in a big 1955 hit, Strategic Air Command ). 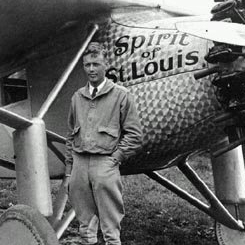 The script sticks to surface level, partly for the sake of brevity and tone (still 138 minutes), but also it was minutely overseen by Lindbergh, who scotched everything he took issue with, including much costly footage that had occurred over the two years it took to get it off the ground. Props and costumes, photography and crowd scenes, scenic shots and special effects (Oscar nominated ) are all solid. The trip itself has some eerie beauty, with spectacular views of icebergs, countryside (Nova Scotia, Newfoundland, Ireland) and cityscapes (Paris at night is pretty cool) balanced with claustrophobia in the cockpit. Franz Waxman’s score gets a bit much at times. Hindsight now has this much better regarded, and it makes a neat history lesson. With Murray Hamilton, Patricia Smith, Marc Connelly, Charles Watts, Dabbs Greer, Robert Cornthwaite, Paul Birch, Carleton Young and Richard Deacon.